OPERATORS looking to further capitalise on demand for frozen cocktails this summer may be interested in a new, concentrated mix from Peter Spanton Drinks. Frozé is a concentrated version of Peter Spanton’s Salted Paloma Grapefruit Soda. 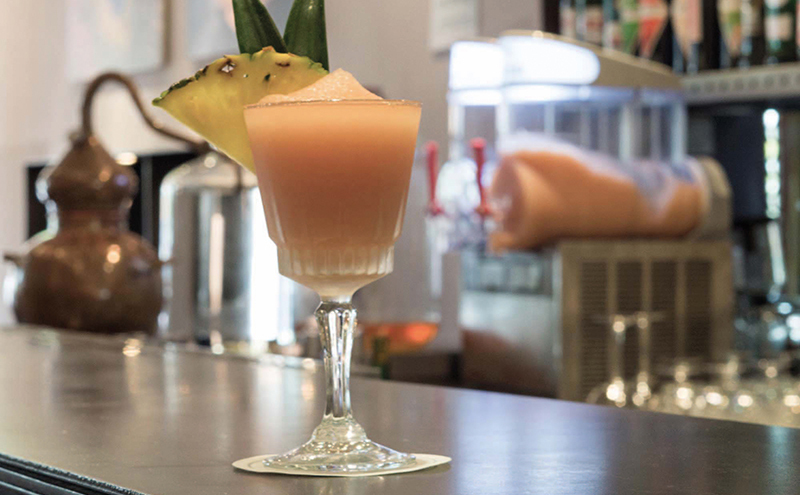 Based on the classic Paloma cocktail, Frozé can be served from a frozen cocktail machine either as a premium soft drink in its own right or, when mixed with a spirit such as tequila, vodka or vermouth, as a frozen cocktail. Peter Spanton, who launched the soft drinks and mixer firm in 2011, said Frozé “is a natural extension of our range, with a strong appeal to customers seeking something beyond [the] ordinary”. The mix is available in concentrate packs, with one litre of concentrate said to produce just over six litres of the frozen serve before adding alcohol.